Let ‘s say that you are using LibreOffice Calc to open up a spreadsheet (or csv file) that your friend send to you, only to find that the rows are in the reverse order that you want them, i.e. the first row is at the last and the last is at the row. 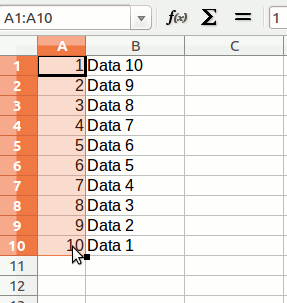 Assuming that the data is sorted in any order, how can you easily reverse the row order without having to manually copy/paste all the data to a new document? Note: This will also work in Ms Excel, OpenOffice and many other spreadsheet applications too. 1. Insert a new column at the extreme left (or right). 2. At the very first row, enter “1” (without the quote). 3. Using your mouse, drag the first cell (the one that you just inserted “1”) and pull it down all the way to the end of the document. You should see all the cells below it populated with corresponding digit. 4. 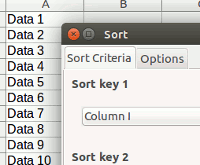 Lastly, go to “Data -> Sort” on the menu bar. 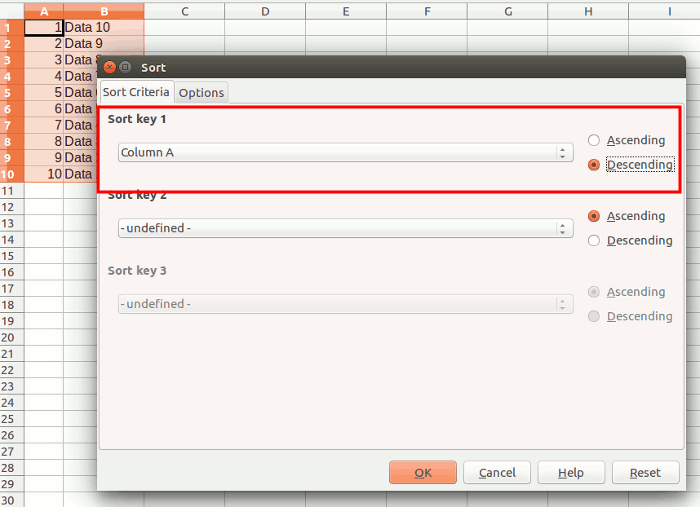 Under the “Sort Key 1″ section, select the new column that you have created. Select “Descending” at the option beside it. Click OK.
Tada. You have successfully reversed the row order of your spreadsheet. 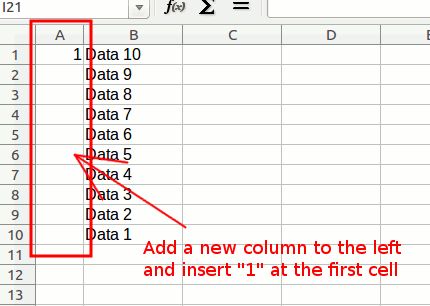 Additionally, you may want to remove the new number column and save the spreadsheet with the correct row order. Let us know if this trick works for you, or if you have an easier way to reverse the row. The post How to Reverse the Row Order in LibreOffice Calc [Quick Tips] appeared first on Make Tech Easier.